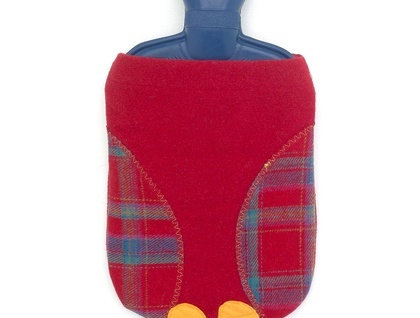 A cute but practical Hot water bottle cover. Appliquéd Sleepy Owl Hotwater bottle cover made to my own design. Fabric is Wool/acrylic blanket weight. 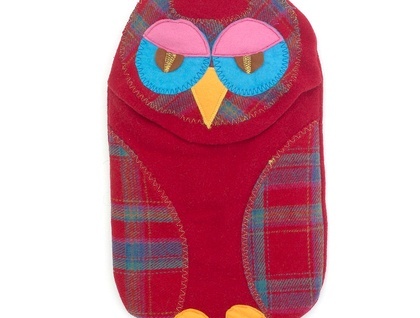 Appliqued felt eyes, huggable soft snuggly body with appliqued tartan wings. I have more than one availlable, I also have other designs/creatures available including OWL,Alien Lion , and Monster.